The websites www.evisa-kenya.com and www.kenya-evisa-online.com are not authorised to process or issue Evisas for Kenya. DO NOT APPLY FOR AN EVISA THROUGH THESE WEBSITES!!! Apply for the visa to Kenya, at the earliest, 8 weeks before the planned date of entry. The visa is issued with a validity entry period of 90 days. The Embassy wishes to inform travellers who come from or transit through countries with risk of Yellow Fever that they will have to produce a Yellow Fever vaccination certificate upon arrival in Kenya. It is therefore advisable that travellers seek medical advice on the necessity of being vaccinated against Yellow Fever, if travelling or transiting from a prevalent country. For security purposes, all visa applications sent by post must be forwarded to the Embassy through DHL EXPRESSEASY PREPAID NATIONAL™ and a self-addressed return envelope of the same kind attached for sending the passport back. Passports will no longer be sent back to clients through registered mail. Clients are also required to track the delivery of their passports to the Embassy on the DHL Website. Family members or those travelling together can send their applications in one DHL EXPRESSEASY PREPAID NATIONAL envelope and attach one DHL envelope with the ZUSATZMARKET for sending back the passports, as specified on the checklist. Single Journey Visa Applications can be made online (E-Visa), at the Embassy or on arrival (VOA). a) All applicants must have their own email address in order to register on the eCitizen website. A national passport with a validity of not less than 6 months on the intended date of entry. Holders of Travel Documents and Nationals on the Referred Visa List of countries (see No. 4 below) have to apply for referred visas. A digital biometric passport photo. 1. The visa processing fee is non-refundable. 4. Engaging in any form of business or employment without a requisite permit or pass is an offense and shall render the visa null and void. 6. The eVisa is available for printout from your eVisa online account after it has been issued. Log in an print it out. You will NOT be sent any email notification. 7. the eVisa Printout or Invoice of Payment (if your visa status is still pending on the date of your travel) must be presented at the port of entry. All visa applications sent by post must now be forwarded to the Embassy through DHL EXPRESSEASY PREPAID NATIONAL™ and a self-addressed return envelope of the same kind attached for sending the passport back. EINSCHREIBEN will no longer be accepted. THE APPLICATION FORMS AND CHECKLISTS ARE AVAILABLE UNDER APPLICATION DOWNLOADS ABOVE. Ensure that you have the latest PDF-Reader installed on your computer to be able to fully access the visa application form below. - Duly filled application Form 22. - Original passport with validity of not less than six months. - One passport-size photograph attached to the top right side of the application form. - For business visas: Copies of an invitation letter from the company/firm in Kenya and a letter of intent from the employer. - bank transfer voucher of 40.00 Euro fee. One passport size photo attached to the top right side of the Application Form. A DHL EXPRESSEASY PREPAID NATIONAL Envelope for the return of the passport if delivered by post. This visa is valid for multiple entries to Kenya, Uganda and Rwanda for a period of 90 days (from the date of issuance), for tourism purposes only. 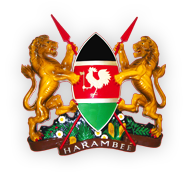 Applicants must first be entering Kenya in order for the EATV to be issued by the Kenya Embassy. The Embassy only processes this for business people who are able to prove that they have entered Kenya at least 3 times in a calendar year. b) All foreigners holding blue or grey Travel Documents (Reiseausweis für Ausländer) not issued by their own country of nationality, including recognized refugee holders of the United Nations Refugee Travel Documents. A fee of 40 Euros or 50 Dollars payable only in cash. For business travellers: a copy of letters from the companies involved in English. NOTE: THE ABOVE LIST IS SUBJECT TO CHANGES. Visa Applicants from all countries not included in the above lists require eVisas, or any of the Visas issued by the Embassy.